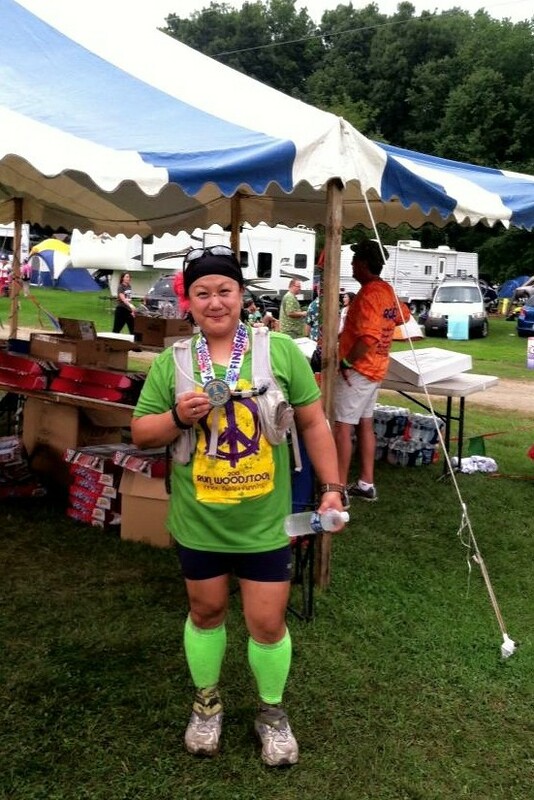 The Green Girl completed her first ultramarathon when she crossed the finish line of the Run Woodstock Freak 50k. 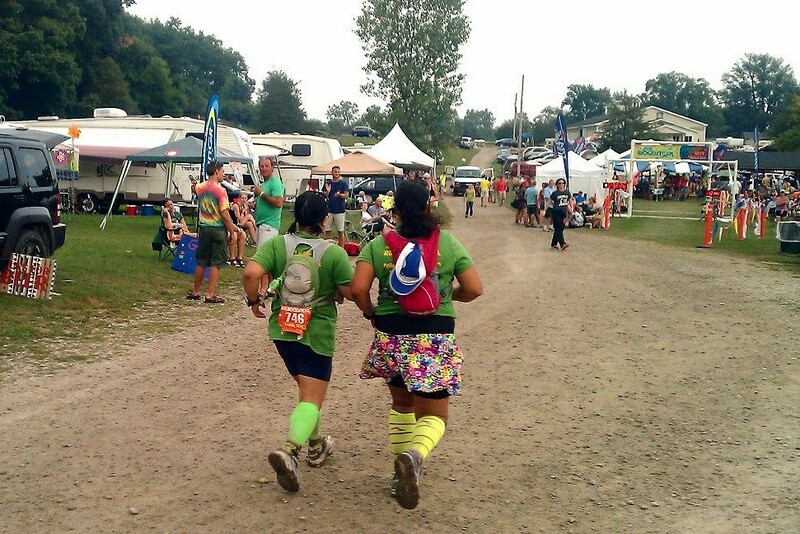 Run Woodstock was a hippie-themed weekend of peace, love, music, tie-dye, camping, and run­ning at Hell Creek Ranch in Pinckney, MI. 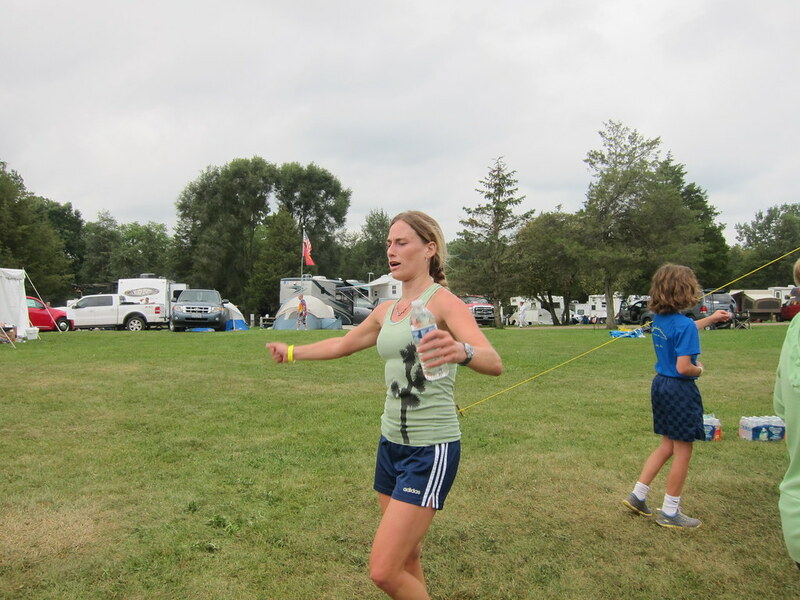 In addition to 5k/10k, 5 mile, full/half marathon, 50k/50 mile, and 100k/100 mile races, there were also optional activities such as hiking, hula hooping, yoga, and even 'natural' (sans clothing) runs. Fellow Sole Runner, Sarah, and I joined the Angel Runners at this event to raise awareness and money for the Foundation for Angelman Syndrome Therapeutics (FAST). FAST provides grants and fellowship programs to encourage research aimed at finding a cure for Angelman Syndrome. The organization also provides education and advocacy services. 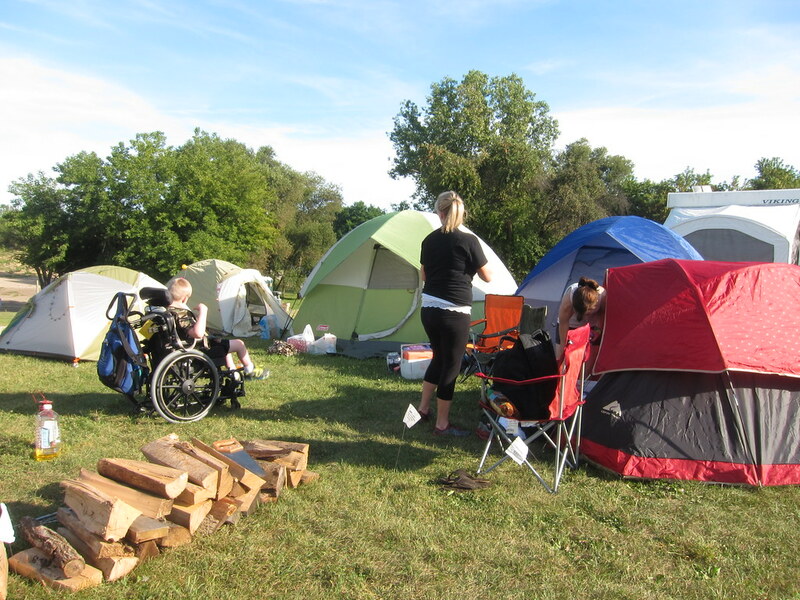 We arrived early afternoon on Friday and started setting up our campsite. In honor of the Foundation for Angelman Syndrome Therapeutics, the Angel Runners coined the term 'F.A.S.T. Island' in reference to our camping area. Dawn and Jason's angel, Reece, even joined us for the Run Woodstock weekend, along with his sister, Bella. Angel Runners Jimmy and Timothy were registered for the Hallucination 100; Jimmy was running for Reece and Timothy was running in honor of his niece, Kyla. Sarah and I had signed up for the Freak 50k. Dawn, Jason, Jay, Krishna, and Jimmy's girlfriend Sarah, were pacers for the 100 miler. 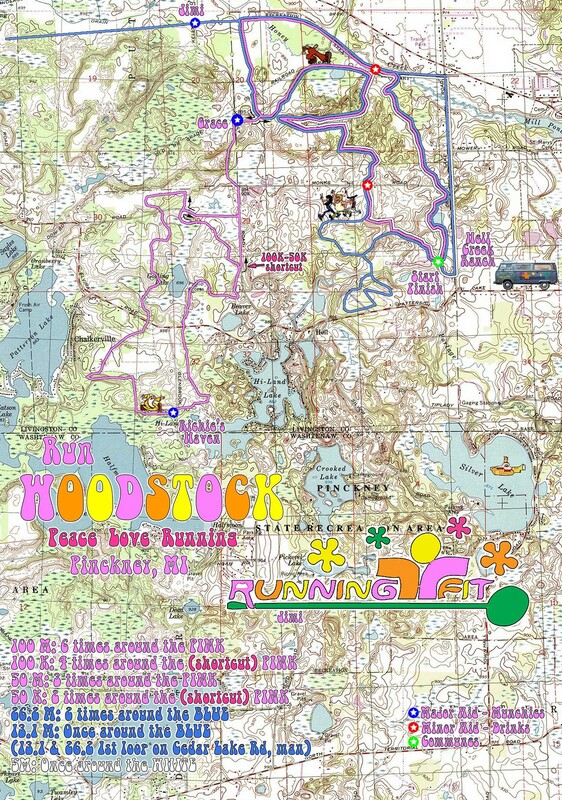 My friend, Kelsey, had a Run Woodstock Weekend Pass so she could participate in the 5k/10k and the 5 miler. The Hallucination 100 started at 4 pm so all the Angel Runners followed Jimmy and Timothy to the Start Line to see them off on their 100 mile journey. I stopped by the Run Woodstock Trading Blankets. Runners had left race shirts, magazines, sports nutrition, some homemade baked goods, and even a hydration belt. I ended up grabbing a Mulligan's Metric Marathon shirt in exchange for some snack bars. At the Run Woodstock store, I purchased one of last year's colorful long-sleeved tech shirts for $5. At 7:30 pm, Sarah and I threw on our headlamps and headed out for the Far Out 5k. We were hoping to be able to run 3 races in the course of the weekend. We cheered Jimmy and Timothy on through the night until we retreated to our respective tents to catch some shut eye. Sarah and I set our alarms for a 5 am wake-up call for the 6 am Freak 50k and Peace, Love, and 50 Mile race start. 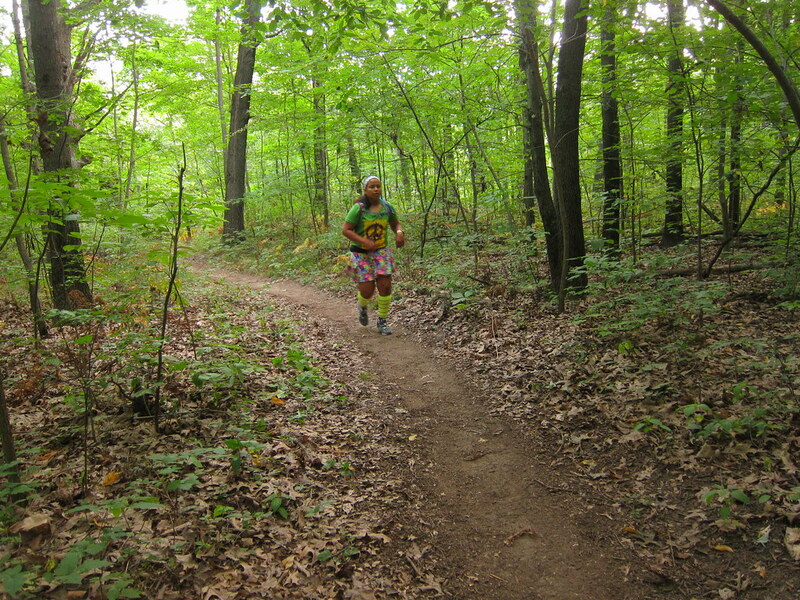 The 50k course followed a 16 mile loop with aid stations every 4 miles. A portion of our loop overlapped the Hallucination 100 route so we would be able to see Jimmy and Timothy out on the course. Since this was the first time Sarah and I were going beyond the marathon distance, our plan was straightforward and conservative. We agreed to take it easy the first loop; return to camp at Mile 16, make any necessary wardrobe changes, re-fuel, and re-group; and then head back out for the second and final loop. Since we had the option to return to camp at the halfway point, we didn't bother with dropbags out on the course. 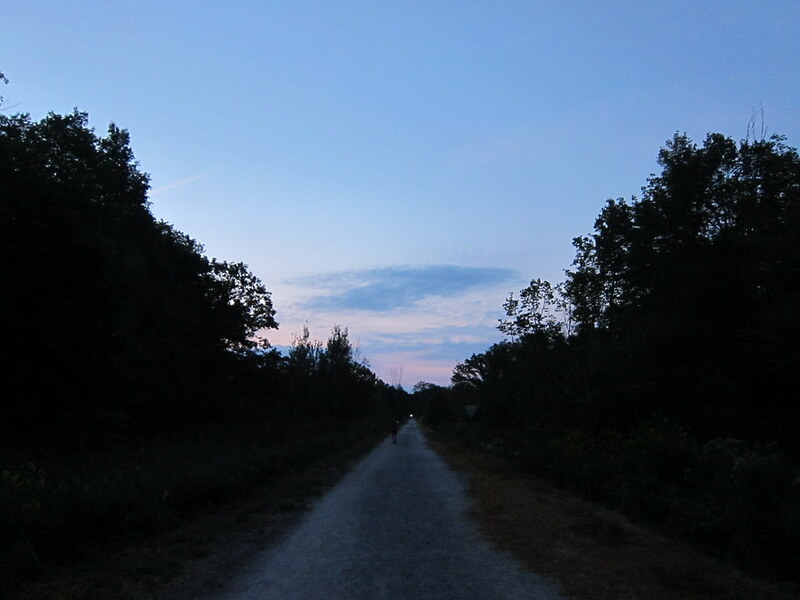 It was dark when we headed out into the woods for our initial loop but in the first hour the sky gradually brightened with the rosy glow of the sunrise. The morning was cool but humid so I immediately started sweating profusely. Every few hours, I popped a couple of Succeed S! Electrolyte Caps. 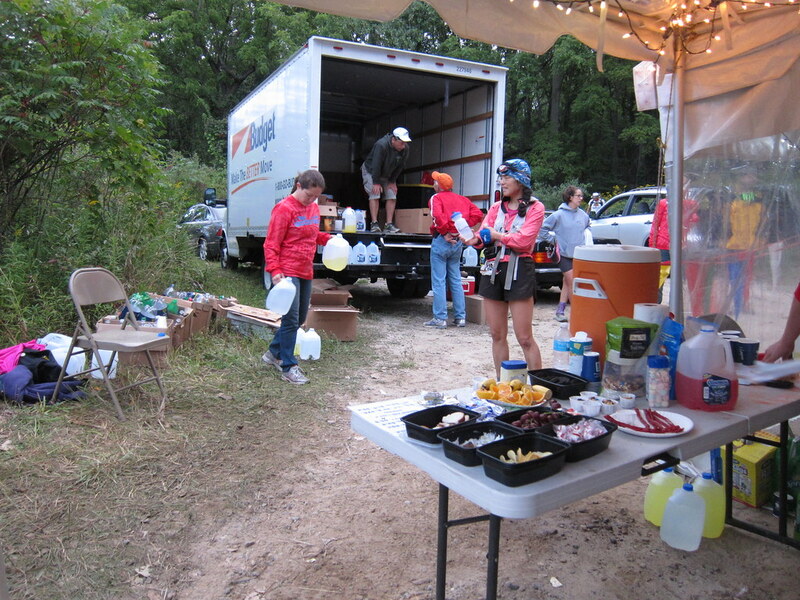 Every four miles, there was a well-stocked aid station with enthusiastic, friendly volunteers and options like caffeinated carbonated beverages, sports drinks, water, salt, chips/pretzels, salted potatoes, candy, peanut butter & jelly sandwiches, Nutella sandwiches, and instant chicken noodle soup. 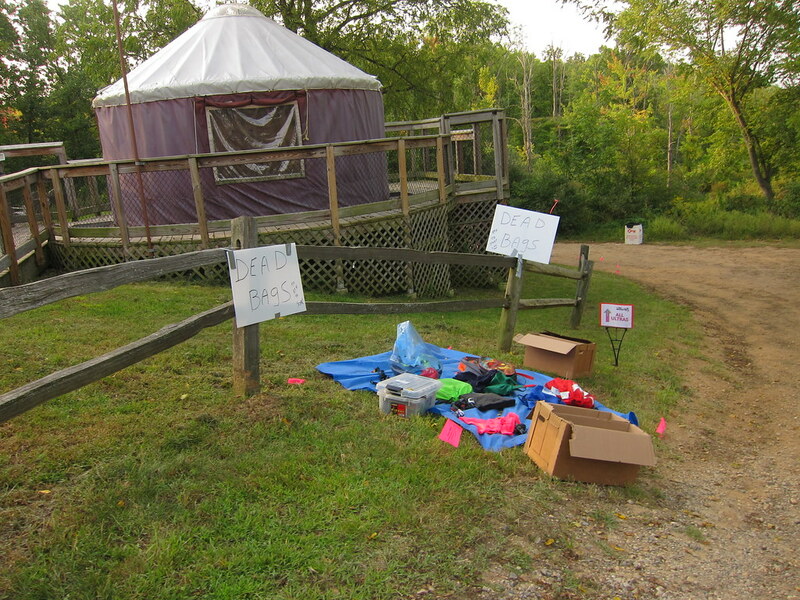 At 'Ritchie's Haven' Aid Station, dropbags could be retrieved and, when no longer needed, left in the Dead Bag Zone. The porta-potties were well stocked and maintained. It was a pleasant surprise to enter a fresh, nearly empty porta-potty late in the day. 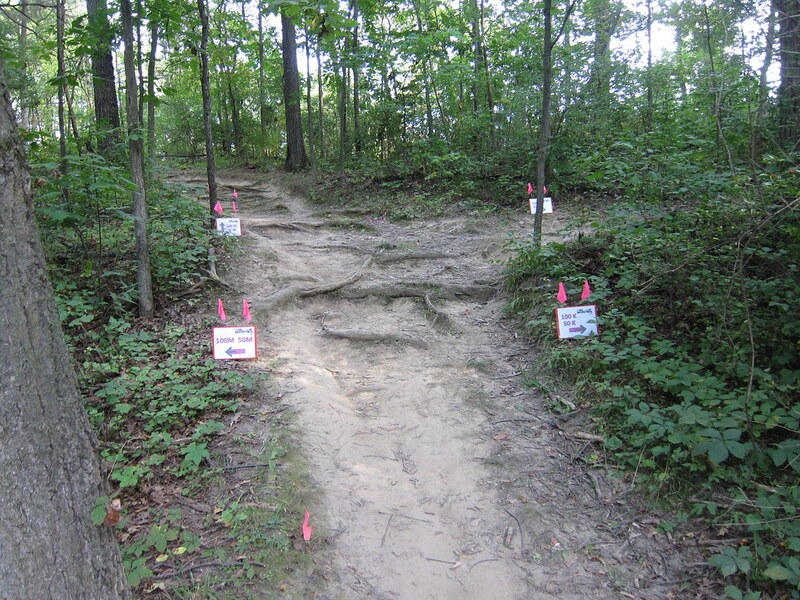 The routes were well marked with brightly colored flags designating the respective races. Signs with bold lettering were also thoughtfully placed along the course. Forks in the road were marked along with big stop signs preventing you from going in the wrong direction. 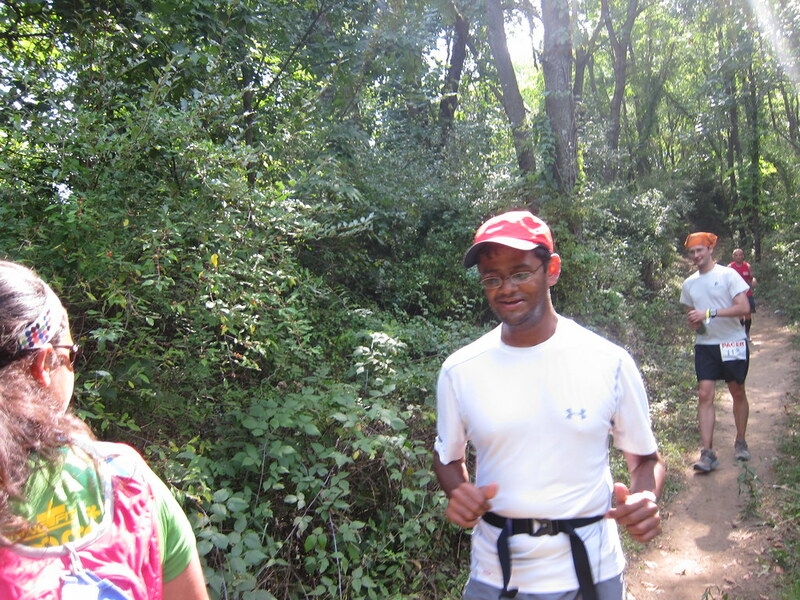 The course terrain varied but the constant forest cover offered the runners a reprieve from the sun. Some parts of the trail were hard packed single track while other portions were sandy. The loose sand aggravated my Achilles tendon bursitis so I opted to walk those sections. The course consisted of some rolling hills but nothing overly technical. 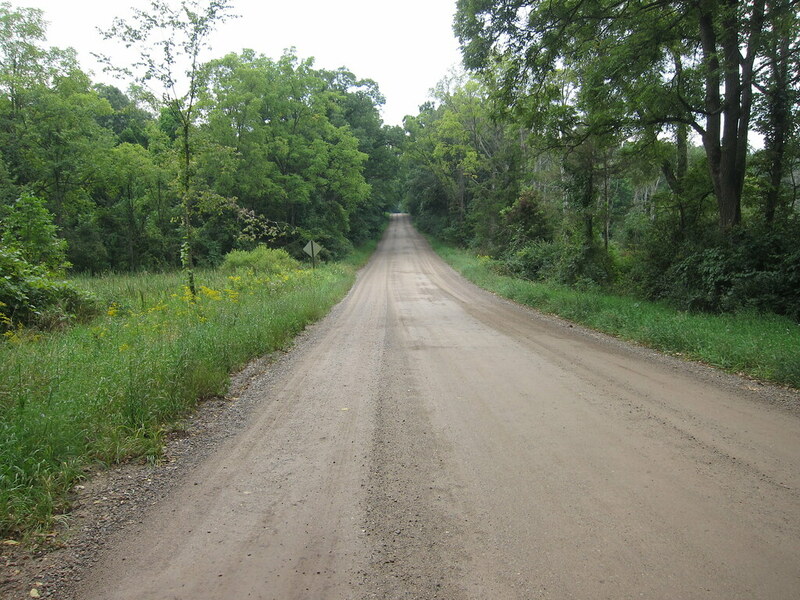 Between the wooded sections, there were short segments over gravel roads. We encountered a number of mountain bikers on the gravel road who were participating in mountain biking race that crossed our course. We marveled at the faulty logistics. One especially beautiful section of the course took us over a wooden bridge through bright green foliage. As the leaves brushed my legs, I silently hoped that my cute lime green Zensah compression sleeves would protect me from any potential poison oak. 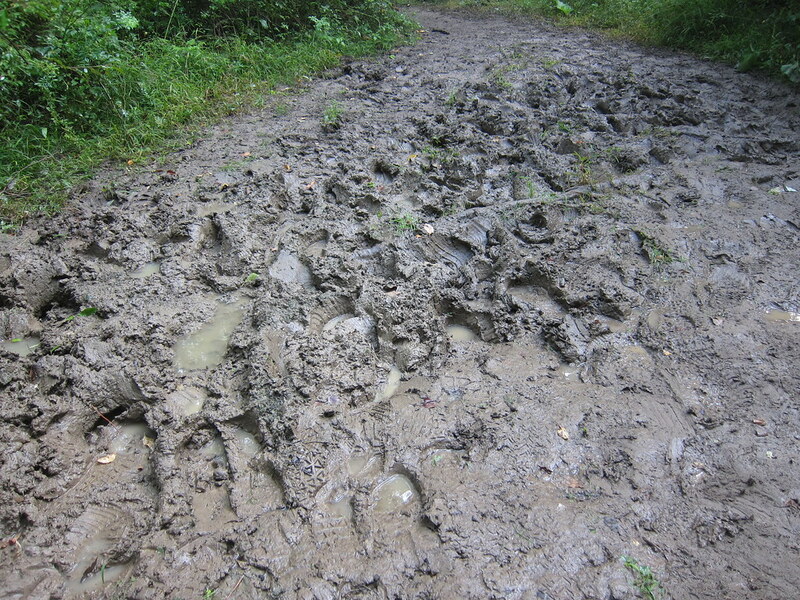 The course was also along an equestrian trail so there was an abundance of horse manure. 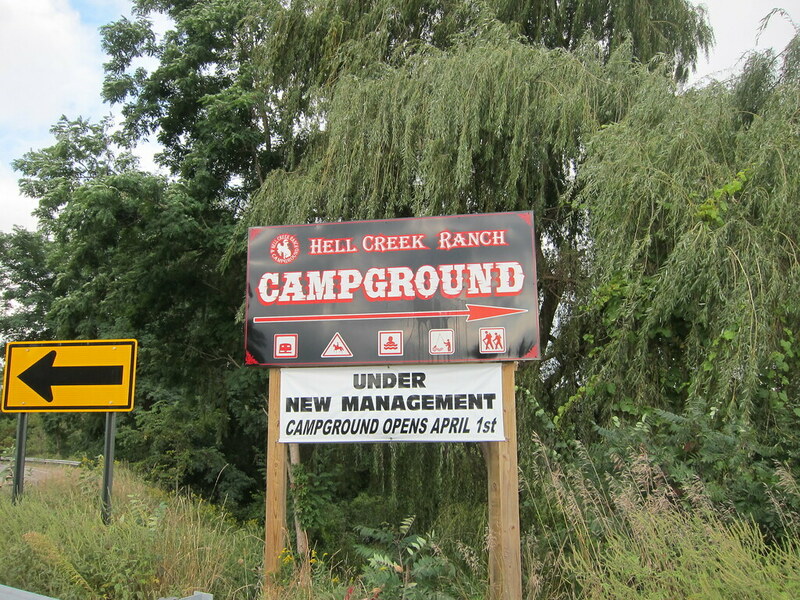 My least favorite portion of the course was a giant mud pit a few miles away from camp that could not be easily bypassed. We somehow managed to slip and slide our way across it. When we got back to camp, I quickly chugged a glorious Dr. Pepper and ate a handful of pretzels. We were saddened to learn Timothy was forced to drop from the 100 miler to the 100k after struggling to go 66.6 miles but we were proud of him for running further than he'd ever run before. Out on our second loop, we sought temporary refuge from a brief downpour under the 'Grace' Aid Station tent at Mile 20. When the rain let up, we headed back out onto the trail. The moisture cooled the air but added to the mugginess. Exhaustion set in for both of us at the same time. I glanced at Mr. Orange Garmin and realized we were just short of a marathon at 26.1 miles. Refusing to yield, Sarah and I hunkered down and did our best to maintain a steady pace. 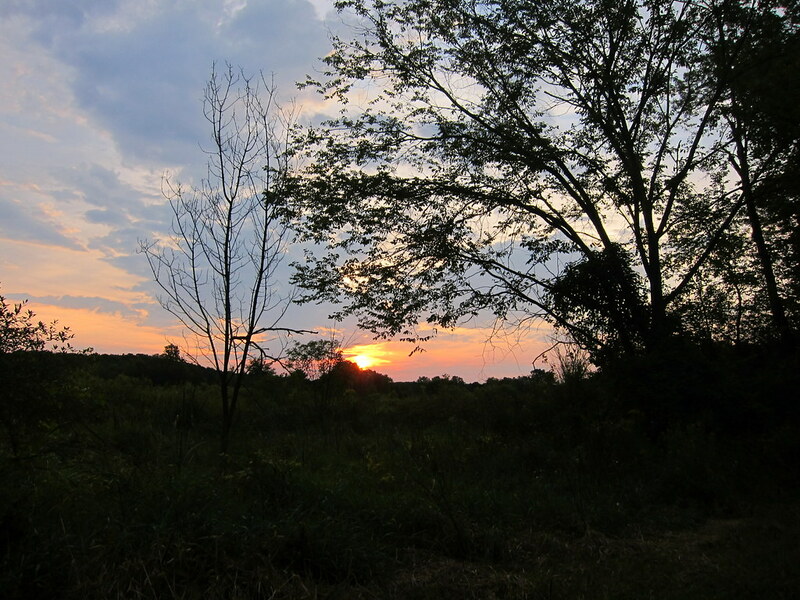 The sun was just beginning to set as the F.A.S.T. Island crew cheered us on at the Finish Line of our very first 50k. We received our peace symbol finisher medals with the tie-dye ribbons and Sarah received a miniature hippie Volkswagon van for placing fifth in her Age Group. Krishna, Jay, and Jason warmly congratulated us on our accomplishment. From the finish line, I uploaded a picture of me standing proudly with my peace sign medal to my Facebook timeline and texted a copy to family and friends. Sarah and I learned Jimmy was out on his final loop with pacers Dawn and Sarah. I showered in the camp facilities, changed out of my muddy sweat-soaked clothing, and had some dinner before it was time cheer Kelsey at the Trip­pin’ ​10k. This was Kelsey's first post foot surgery race so I was thrilled to see her finish strong in the top 10. After the Trippin' 10k, Jay, Jason, Kelsey, Krishna, Reece, and I waited near the finish for Jimmy. We were bursting with pride when we saw Jimmy and pacer Sarah approach. We screamed and ran alongside them to the Finish Line. For completing the Hallucination 100, Jimmy received a peace sign medal, a Hallucination 100 running hat, and a belt buckle. In the finish line area, Jimmy ceremoniously gave his Hallucination 100 finisher medal to Reece to symbolize the run Jimmy did for the young angel. We accompanied our 100 mile Angel Runner finisher back to F.A.S.T. Island and gathered around the warmth of the bonfire. We celebrated a Run Woodstock weekend of firsts. Sarah and I completed our first ultra distance race. Pacer Jay, Jimmy, and Timothy ran further than they'd ever run before. 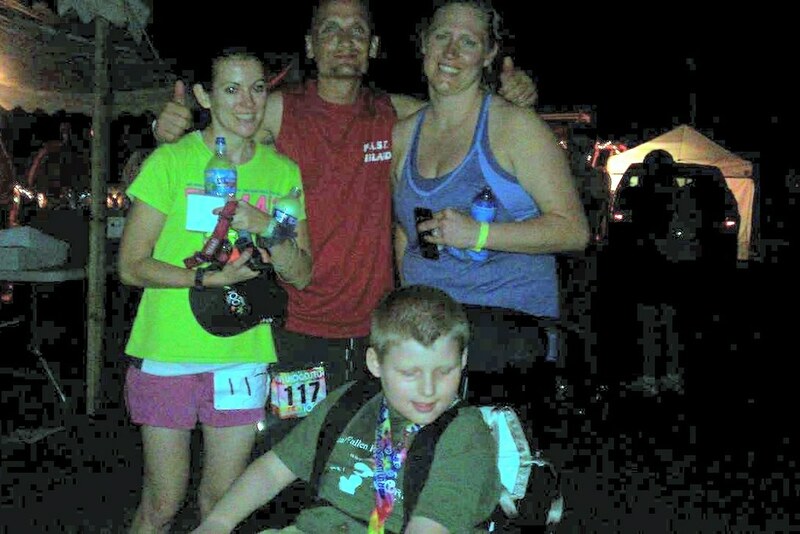 Pacer Jason ran 16.6 miles in the middle of the night for the first time. Pacer Sarah did her first trail run. 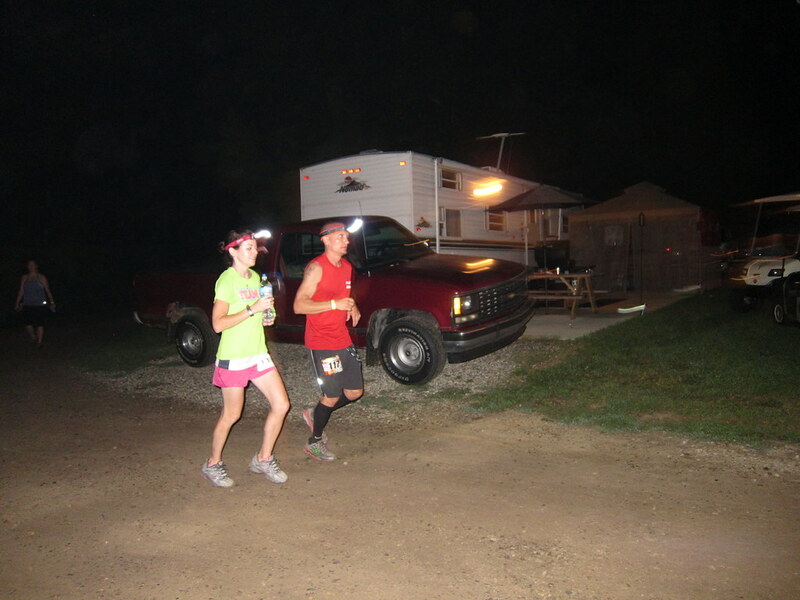 Pacer Dawn did her first night trail run. Kelsey completed her first post-surgery race. 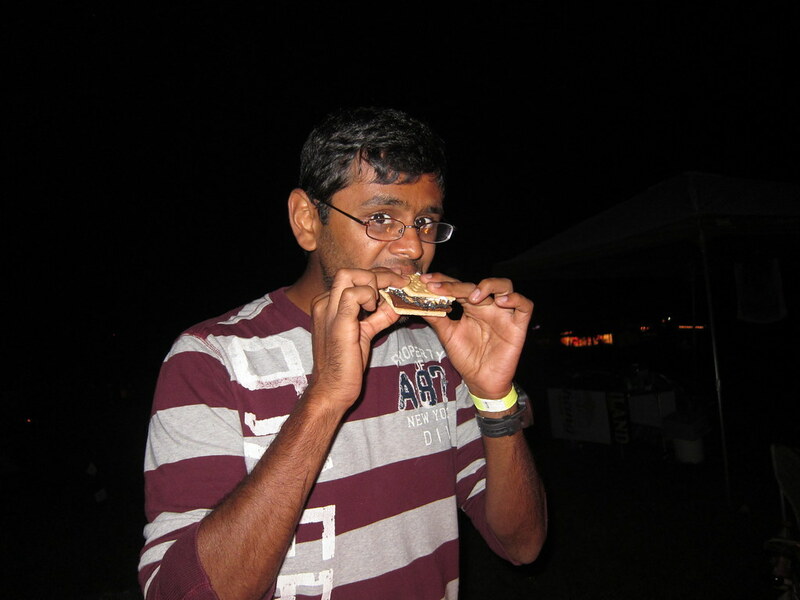 And pacer Krishna tie-dyed and ate his first s'more. In the morning, Kelsey headed back out for the Flower Power 5 Mile race. I had hoped to do a third race but my right Achilles was tight and I decided against navigating another 5 miles of trail. While Kelsey raced, we packed up F.A.S.T. Island. I want to thank the F.A.S.T. Island Angel Runners from the bottom of my heart for an unforgettable weekend of peace, love, music, tie-dye, camping, and running. 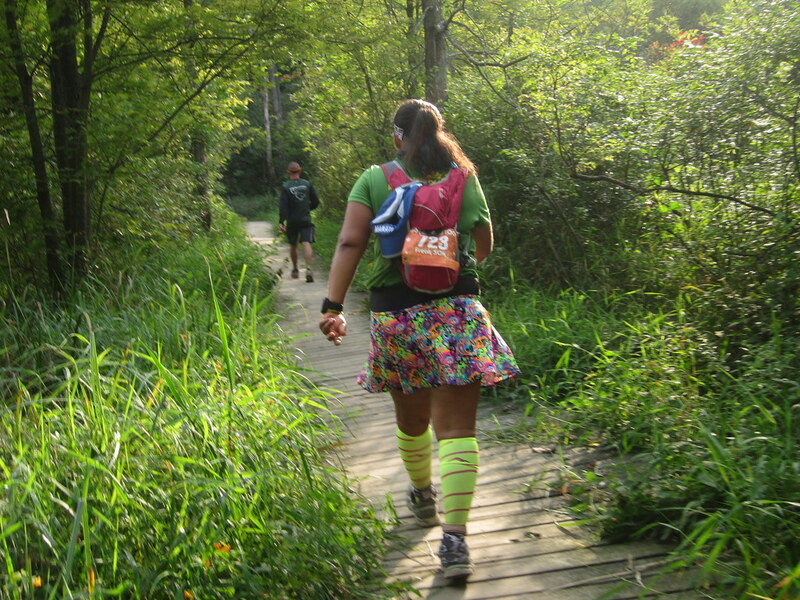 The Green Girl is proud to announce she is a Ragnar Relay Ragnar Ambassador for 2014. I participated in my first Ragnar Relay last April when fellow Sole Runner, Sarah, talked me into joining her So Cal team, '12 peas in a pod'. Before I participated in my first Ragnar, I had no idea what to expect so I did searched online for tips, best practices, and other advice. Since I'm a professional packing list maker, I compiled my inaugural 'The Green Girl's Ragnar Packing List' based on my research findings. One Ragnar and I was hooked. It was so much fun! This year, I did Ragnar So Cal again, and then I did my first out-of-state relay, Ragnar Madison Chicago. 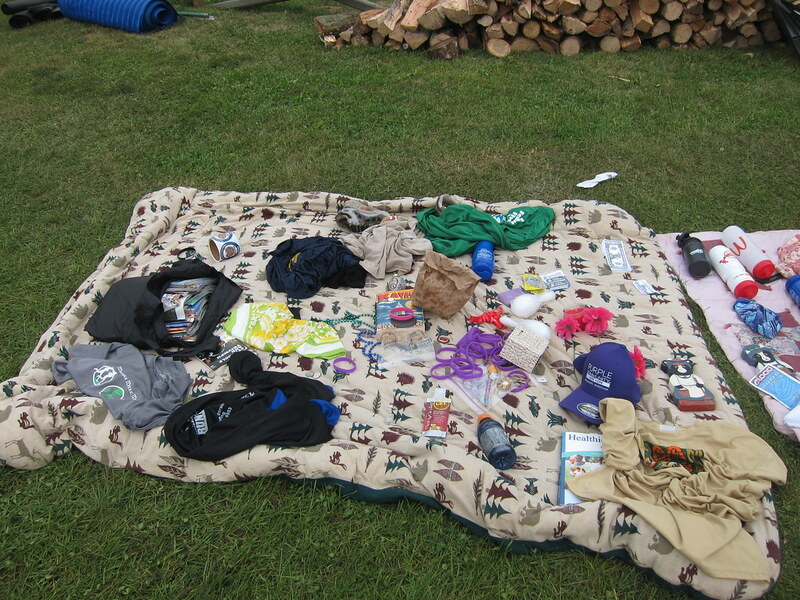 I am looking forward to sharing my Ragnar love and offering up my professional packing lists and tips. 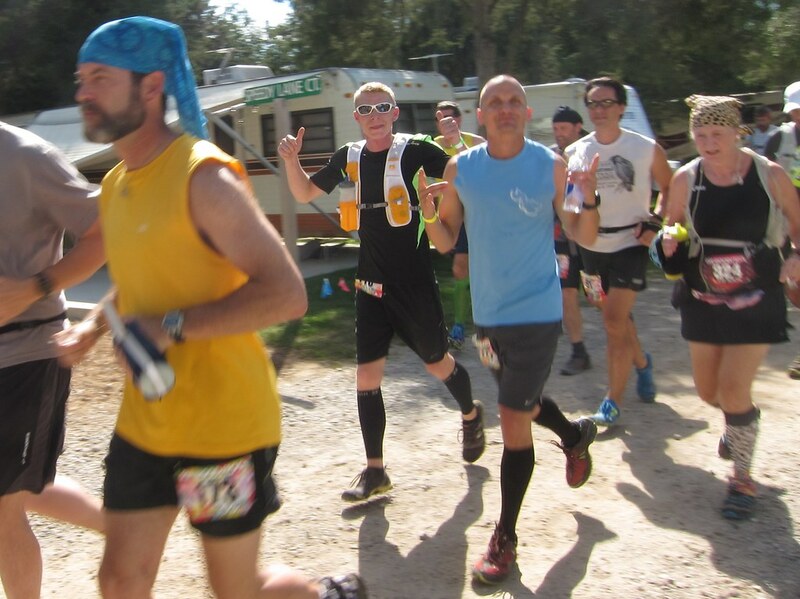 A Ragnar Relay is a multi-person road or trail race with a route that is divided into 36 legs of varying difficulty and distances between 3-11 miles, with designed exchange points. The teams consisted of 6-12 individuals split evenly into two vans. For teams of 12, Van 1 contains runners 1-6 and Van 2 contains runners 7-12. Van 1 Runner #1 begins at the starting line. Once the race starts, Van 1 goes to the first exchange point where runner #2 will prepare to run. Runners from Van 1 continue to run in order up to exchange point 6; this is the first major exchange in the race. At exchange 6, Van 2 should be waiting. At this point, runner #6 from Van 1 will hand the slap bracelet off to runner #7 from Van 2. Then, Van 2 continues along the race course rotating runners until the next major exchange point, exchange 12, where they will hand off to Van 1 again. This pattern continues until the Finish. What is a Ragnar Ambassador? The Green 'Team Superhero' Girl is thrilled to announce that Superhero Events is joining forces with Six Flags Theme Parks to present the Six Flags Running race series. Six Flags Running race registration will include admission into the theme park, and other cool perks like brunch in the park. The series begins Saturday, December 7th, 2013, with the Inaugural Six Flags Holiday 5k at Six Flags Discovery Kingdom in Vallejo, CA. Celebrate the season by running in your Santa hat, ugly Christmas sweater, elf ears, or reindeer antlers as you jaunt through the Holiday in the Park decorations. Registration is currently open for the Inaugural Six Flags Holiday 5K in Vallejo, CA, and if you register by Thursday, September 5th, you will save $5 on your race entry.